Last week, Indians began voting to elect the 17th Lok Sabha (lower house of Parliament) in the largest democratic election in human history. 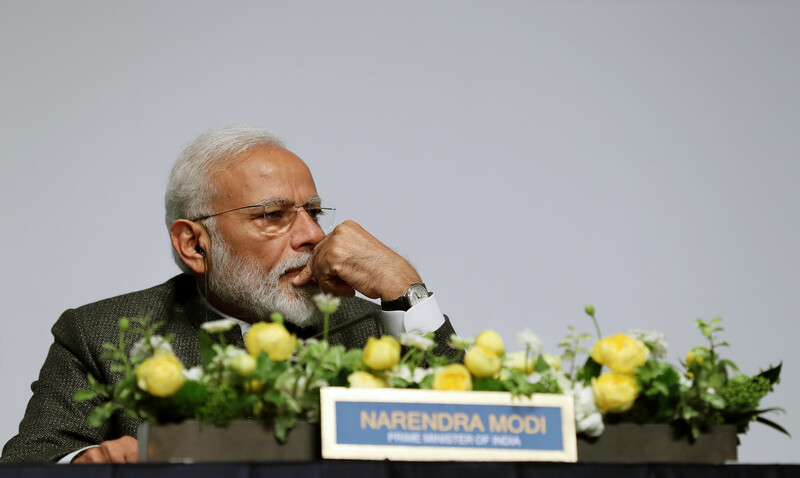 India’s right wing Prime Minister Narendra Modi is seeking re-election after decimating the once dominant Indian National Congress (INC) in the 2014 election. By highlighting Modi’s unfulfilled campaign promises and a rise in far-right Hindu vigilantism, the Congress hopes to bring its electoral alliance and governing coalition, United Progressive Alliance (UPA), back to power. To the Western eye, the choice seems clear. Modi is a polarizing figure whose party members have made inflammatory remarks and stoked communal tensions in the past. Meanwhile, the Congress Party promises jobs and social harmony. However, upon examining and track record of the Congress, the choice is no longer so black and white. India should not make the mistake of choosing the greater of two evils, and for that reason, should grant Modi another five years in office. Due to its role in the independence struggle, the INC earned the gratitude of a generation of Indians. Winning massive majorities in successive elections, it has ruled India for the vast majority of its independent history. Unfortunately, its subsequent obsession with socialism prevented Congress from making progress in fulfilling its numerous “Garibi Hatao” (remove poverty) pledges. Those responsible for Congress’s failings 50 years ago remain responsible for its failures today. The descendants of Jawaharlal Nehru have hoarded power for themselves by establishing a political dynasty that thrives to this day. To the Western observer, the prospect of one family controlling every level of state power since 1947 would seem ludicrous. Yet this is the reality of the Indian Left. The Nehru-Gandhi family has passed the Office of the Prime Minister down to its heirs like candy to children, treating it as a prize to be won rather than an opportunity for public service. Jawaharlal Nehru, his daughter Indira Gandhi, and her son Rajeev Gandhi have all served as Prime Minister simply by virtue of their bloodline. Even Rajeev Gandhi’s Italian-born widow Sonia Gandhi was elevated to the Party Presidency despite her poor command of Hindi. Fearing the potential backlash from a caucasian Prime Minister in post-colonial India, the Congress anointed Manmohan Singh to run a puppet government in 2004 while Sonia Gandhi wielded the real power behind the scenes. Now, as Sonia ages she has groomed her son Rahul to take over the family business. The current generation of the Nehru-Gandhi dynasty has been no better a steward of the Indian people than its forefathers. The most recent period of Congress rule (2004-2014), like all others before it, was marked by numerous corruption scandals. The 2010 Commonwealth Games, hosted by India, was intended to showcase India’s rise to global power. Instead, it became a poster child of Third World corruption and an international embarrassment. The Congress government of Delhi and the central government quickly became implicated in a string of scams and corruption scandals when the public took notice of the shoddy construction quality of Games facilities. Congress Ministers embezzled billions of dollars worth of public money, leaving little funds to construct what would amount to sub-par facilities. In other cases, the authorities gave kickbacks to favoured corporations and overpaid for materials and services in lucrative government contracts. Similar corruption cases continued to plague the UPA government shortly after it was re-elected in 2009. With the number of scandals implicating high ranking ministers eventually nearing the double digits, public confidence in the competence and integrity of the Congress hit a new low. Seemingly worst of all, Opposition MPs alleged they were offered money from UPA leaders in exchange for their support in a no confidence vote in 2008. In addition to sparking a grassroots anti-corruption movement that forced the UPA to pass an anti-corruption bill, these scandals led to mounting calls for then Prime Minister Manmohan Singh to resign. The Nehru-Gandhi family controlled the party then and now. While Sonia and Rahul Gandhi embark on a noble crusade this election season to eradicate corruption, they face ongoing corruption charges of their own. Sonia Gandhi’s own son in-law has been implicated in a corruption case involving the Congress government of Haryana. For this reason, the Indians expecting clean governance from Congress this time around are fooling themselves. Other Indians remember UPA’s endemic corruption and plan to vote for a smaller third party. However, this naively ignores the reality that only the Congress-led UPA will ultimately hold the seats necessary to form a government in the event of a Modi loss. Indians have every right to vote for a third party, but should do so acknowledging it will facilitate Modi’s defeat and UPA’s return. Famed for having delivered low unemployment, strong infrastructure, and high economic development rates as Chief Minister of Gujarat state, Modi promised voters “sab ka saath sab ka vikas” (economic development for all) and “acche din” (Good days ahead). Partially due to filibustering in the Opposition-controlled upper house, which retains the power to indefinitely block most legislation, many of Modi’s initiatives have not successfully changed the status quo. Although “acche din” remains elusive, Modi’s National Democratic Alliance coalition (NDA) has made tangible and indisputable progress in removing India from the grave dug by 10 years of Congress rule. Perhaps most importantly, Modi has largely delivered the clean governance he promised. While India marginally improved its overall ranking in global corruption indexes, the central government directly accountable to Modi has witnessed a drastic reduction in corruption. While several UPA cabinet ministers were implicated corruption scams costing the taxpayers untold amounts of money, no such corruption scandal has come to light involving Modi or his cabinet. The only exception is the Rafale controversy, concerning potential corruption in the purchase of fighter jets from France. Although the Congress has seized upon this issue, evidence of wrongdoing is low compared to previous corruption scandals, and as of April 2019, no charges have been filed. Debate in India centers more around speculation of corruption, rather than hard evidence of it. Furthermore, even if new evidence eventually implicates Modi, one corruption scandal throughout five years of BJP rule versus numerous scams throughout 10 years of UPA is nonetheless a significant improvement. Beyond corruption, Modi’s greatest achievement has been where Congress failed: economic development. Modi’s policies have boosted growth to 7-8 percent a year, allowing India to attain “middle-income” status and become the fastest growing economy in the world. Since 2015, India has risen 42 notches in the international Ease of Doing Business Rankings and 32 notches up the World Economic Forum’s Global Competitive Index. This has led to India overtaking China in 2018 as the largest worldwide recipient of FDI, valued at 38 billion dollars. Infrastructure development has also picked up pace, with Modi’s flagship “Bharatmala” initiative among the largest government-run highway construction initiatives to date. In its first phase alone, Bharatmala will pave an additional 14,000 miles of highway. Modi has also negotiated a deal with Japan to build India’s first bullet train route, the construction of which has already begun. Finally, Modi has not neglected India’s poor. Lack of access to clean sanitation facilities has plagued India for decades. Modi has finally taken decisive action after years of neglect by financing the construction of 80 million toilets across rural and urban India. Additionally, lack of access to electricity has been an issue in rural India since independence. Even urban areas are not immune to multiple power-cuts a day due to electricity shortages. Modi has responded swiftly by increasing power generation and reducing power cuts in urban areas. He has also achieved the historic and elusive milestone of 100% village electrification. While every rural household is not yet electrified, entire villages disconnected from the power grid is now a thing of the past. Modi’s most significant and commendable proposal however, is his “Ayushman Bharat” initiative. This initiative aims to provide nearly 500 million people with free healthcare and is being hailed as among the largest public health insurance plans in the world. Technically, India already has universal healthcare in which India’s poor may travel to government-run hospitals and receive free medical care. However, these hospitals are often overcrowded, understaffed, and unclean. Ayushman Bharat would reduce the strain on public health facilities by paying for healthcare treatment at India’s expensive but higher quality private hospitals for 500 million of India’s poorest citizens. Unveiled 6 months ago, Ayushman Bharat has already processed claims from over 300,000 people in its first phase of implementation. The Indian Left has accused Modi of harbouring bigotry and intolerance towards India’s minorities. Since 2014, India has witnessed a rise in right wing vigilantism, notably bands of “Gau Rakshaks” (Cow Protectors) that target those who they believe have dishonoured the sacred cow and insulted Hinduism. These men claim they are defending the Hindu religion, when in reality they are violating one of its basic tenets: nonviolence. Because radical Hindu elements have consistently supported the Indian right wing, they have felt emboldened since Modi’s election in 2014. However, it is important to acknowledge that there are no ties between these civilian groups and the Indian government. In fact, Modi has consistently criticized those who utilize violence or seek to force their religion upon others. For this reason, while it is perfectly reasonable to criticize radical Hindus and the state-level BJP politicians who often support them, they have received no physical or rhetorical support from the Modi government in New Delhi. It is imperative that Indian voters distinguish between mindless radicals woefully ignorant of their own religion in civil society and the Prime Minister they support. India is a proud secular country. Indian nationality is conferred not according to religion, but by birth. Left-wing claims that Modi is turning India into a “Hindu Pakistan” are overblown and amount to fear mongering. In Pakistan, Hindus are horrifically persecuted by the government and are coerced into practicing their religion behind closed doors. Thousands flee to India each year. In contrast, India boasts numerous prominent Muslim actors, politicians, and businessmen, and artists, all of whom practice their religion openly without impediment. While radical Hinduism is a challenge for India, Modi is not using Indian state institutions to advance the radical Hindu agenda. Rather, Modi has been careful to focus his initiatives on development and clean governance, consciously avoiding making religiously-charged statements. He has also not proposed or passed a single bill or ordinance targeting Muslims and their interests. While local BJP often politicians often do make inflammatory statements, India employs a federal political structure. Voting Modi out of office in the central government will do nothing to erase the ambivalence many local politicians and law enforcement authorities exhibit towards Hindu-extremism. Furthermore, much of the Left claims that state-level BJP initiatives to rename cities and ban beef statewide indicate anti-minority sentiment. While Modi is not opposed to these measures, the basic premise that they are anti-Muslim is flawed on many levels. Democracy is predicated on the principle of majority rule. It is perfectly legitimate for a country that is 80% Hindu to ban a practice that is considered immoral by 80 percent of the population, especially if such a practice is not integral to religious practices of minorities. Similarly, just as it is legitimate for India to change city names imposed by the British two centuries prior, it is also legitimate for India to discard names imposed by Islamic invaders four centuries ago. Interpreting such changes as attacks on Indian Muslims make little sense considering there is little connection between native Indian Muslims and foreign Islamic invaders beyond religion. The choice for Indians this year boils down to a simple reality: since independence, the Congress Party has been rotten at its core. The Indian people do not want Prince Rahul or Queen Sonia. Rather than voting to continue decades of undemocratic and oligarchical dynastic rule, Indians should elect leaders who will prioritize the people before their own selfish interests. Modi is by no means perfect, but is undeniably the lesser of two evils. Featured image by the Republic of Korea, via Flickr Creative Commons.